Complete with case studies, this work is concerned with the problems of Operational Research OR. A variety of application areas such as industry, service, agriculture and health care are featured to show the variety of OR. 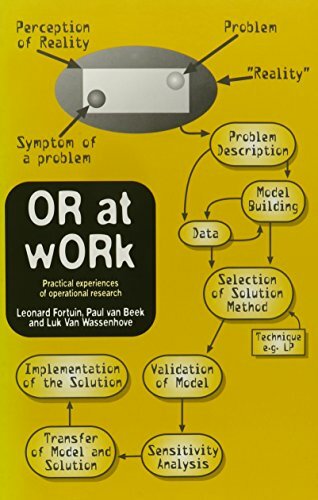 Operational Research (OR) is an applied discipline concerned with real-life problems and with people who need to deal with these problems. Mathematical tools play a role in the different stages of the problem solving process. Good descriptions of successful practice can give students as well as professionals and potential users (eg. managers) a clear picture of what OR is all about, how OR projects are typically conducted, what is expected of the project team members, and what can be reasonably expected from OR as one way of approaching a problem. Cases can and should give practitioners and users of OR a view on the richness of the discipline and its variety. The latter is a major objective of this book.